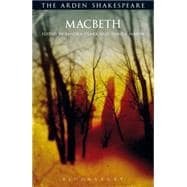 Macbeth is one of Shakespeare's most performed and studied tragedies. This major new Arden edition offers students detailed on-page commentary notes highlighting meaning and theatrical ideas and themes, as well as an illustrated, lengthy introduction setting the play in its historical, theatrical and critical context and outlining the recent debates about Middleton's possible co-authorship of some scenes. A comprehensive and informative edition ideal for students and teachers seeking to explore the play in depth, whether in the classroom or on the stage. Sandra Clark is Professor and Senior Research Fellow at the Institute of English Studies, School of Advanced Study, University of London, UK. Pamela Mason has worked with the drama classes at Wroxton Theatre Arts School, Cardiff, UK since 1986, and for much of that time was also a lecturer in English and Fellow of the Shakespeare Institute, University of Birmingham, UK. She works extensively in Stratford, contributing to postgraduate courses, and she has initiated a postgraduate diploma in Shakespeare studies.